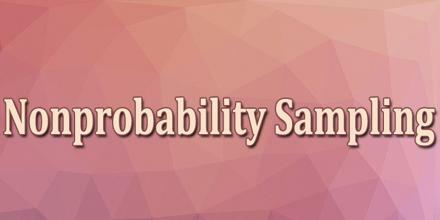 This article describe about Nonprobability Sampling, which is a type of unit sampling where it is not known which of the units will be picked to be sampled, and where some of the units have a zero probability of being chosen. It is a sampling technique where the samples are gathered in a process that does not give all the individuals in the population equal chances of being selected. One of the advantages of nonprobability sampling is its lower cost compared to probability sampling.